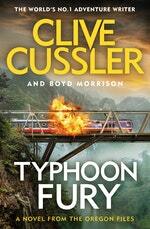 The crew of the Oregonunknowingly sail into the path of a furious tropical storm . . . 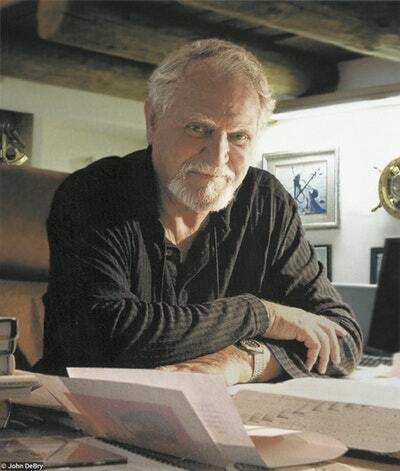 It's an unusual assignment for Captain Juan Cabrillo and his shipmates: head to the Phillipines to uncover a hoard of stolen paintings worth half a billion dollars. The mission pays well - but then it should: it's dangerous. For the man who has taken the paintings is one Salvador Locsin - the violent leader of an insurgency - who is using them to finance a terrifying operation. Having stumbled on a deadly secret lost during the Second World War - a serum with extraordinary powers - Locsin intends to turn the Pacific Rim into his own personal blood bath. Only Cabrillo and the Oregon stand in his way. And a tropical typhoon is bearing down on them . 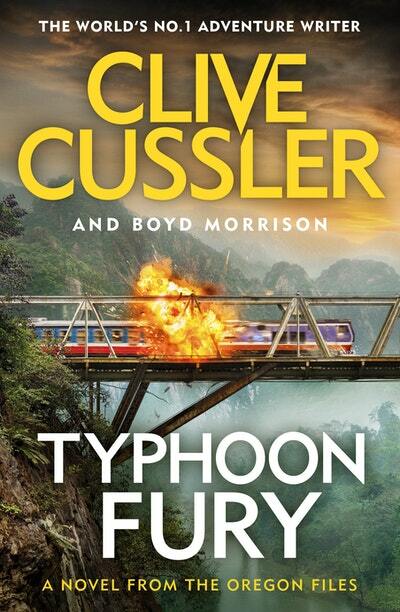 . .
Typhoon Fury is a brilliant, edge-of-your-seat thriller from the master of modern suspense, Clive Cussler. Sergeant Daniel Kekoa dropped to the ground and covered his head as the M4 Sherman tank that had fired on the ragged entrance was thrown backward a dozen yards by the gigantic secondary blast from inside the tunnel. The thirty-ton tank flipped over and landed on its turret before a loose shell inside tore it apart in a fireball. When debris stopped raining down around him, Kekoa staggered to his feet, his ears ringing from the deafening explosion. Dozens of American soldiers lay dead or writhing in pain. He turned over the nearest man down. The vacant eyes and chunk of shrapnel protruding from the soldier’s chest showed that he was beyond help. 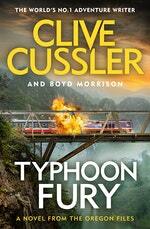 Love Typhoon Fury: Oregon Files 12? Subscribe to Read More to find out about similar books.